Fingerboard signs at the junction of Kelso Rd (A7) & Asbestos Rd (C741), 7km south of Kelso. Source: Peter Renshaw, April 2007. Western Terminus: Bakers Beach Rd (C740) & Browns Creek Rd (C741), 5km south of Bakers Beach. 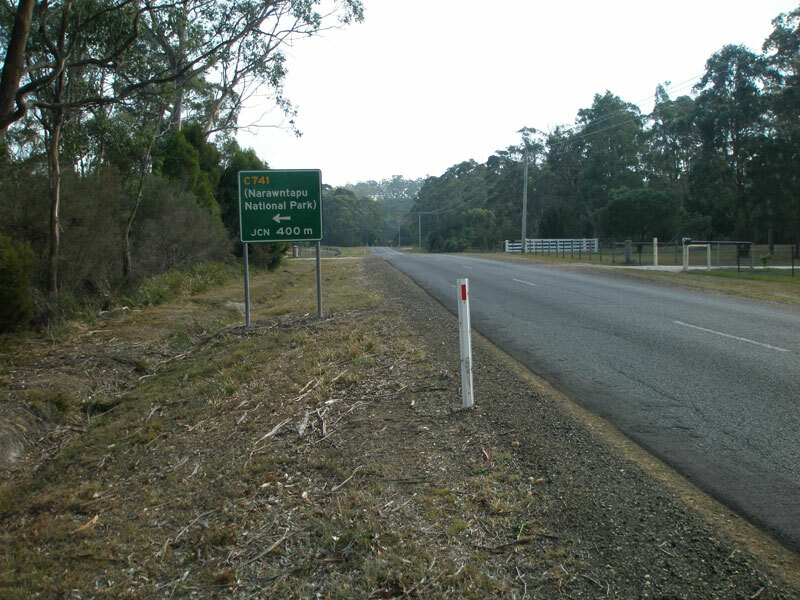 Eastern Terminus: Kelso Rd (A7) & Asbestos Rd (C741), 7km south of Kelso. 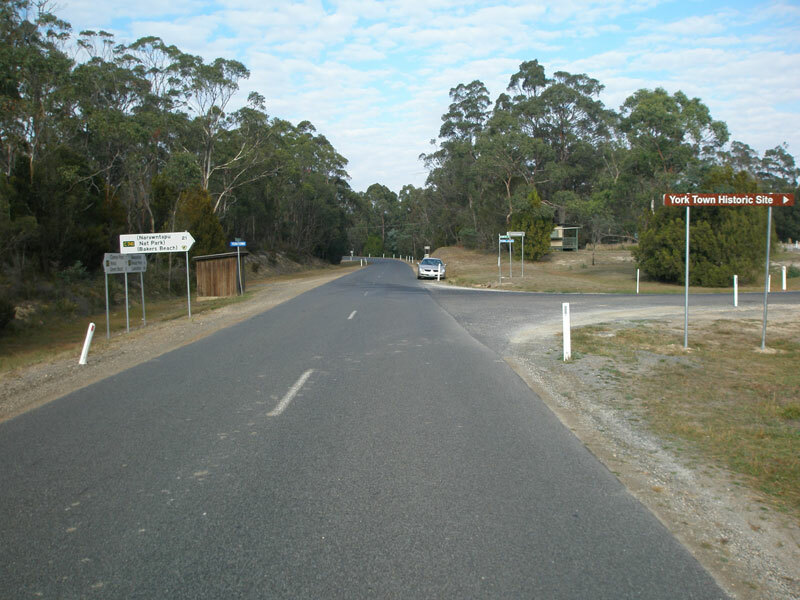 Route C741 is an unsealed east-west route in northern Tasmania, connecting the Tamar Valley with the Franklin River and Narawntapu National Park. The majority of the route is a Forestry Commission road (Browns Creek Road), which passes across the northern end of the Dazzler Range. Kelso Rd (A7) northbound approaching the junction with Asbestos Rd (C741), 7km south of Kelso. Fingerboard signs at the junction of Kelso Rd (A7) & Asbestos Rd (C741), 7km south of Kelso. 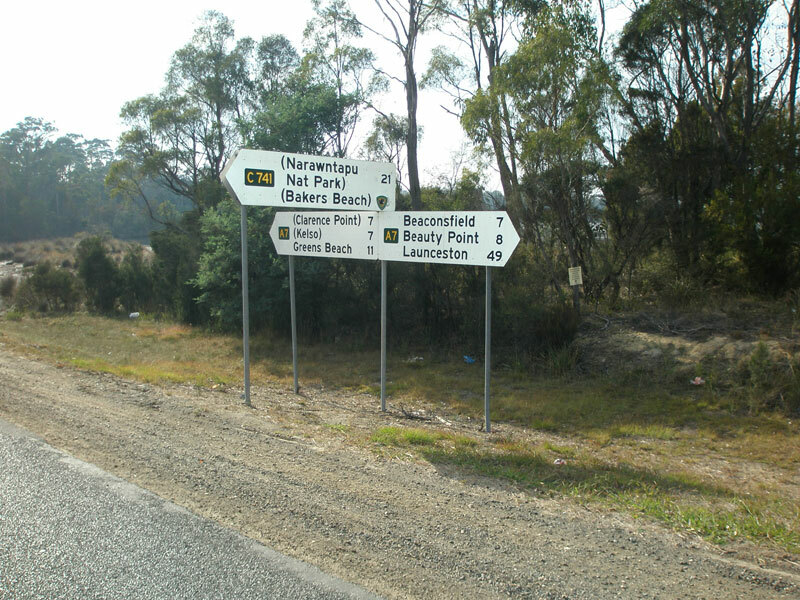 Note that the distance for Bakers Beach has been covered over by a Tasmanian Parks & Wildlife Service. Looking south at the junction of Kelso Rd (A7) & Asbestos Rd (C741), 7km south of Kelso. Asbestos Rd also leads to the historic Yorktown site.